 We have been providing Clarksdale with superior vision care for over 40 years. Dr. Robert G. Traylor began our practice at 218 Third Street. Dr. James F. Humber, IV, joined him in 1997. Dr. Traylor has since retired, and Dr. Humber has continued to expand the practice to include the latest technology, equipment, and instruments available for the evaluation and treatment of all types of eye conditions and vision related problems. We moved to our new facility at 636 Friars Point Road in 2011. Our new office is truly state of the art in every aspect. We now have the largest frame selection in the Mississippi delta. We also have a large stock of contact lenses and offer online ordering. We use only the best materials and equipment, which enables us to provide you with an in-depth examination and provide you with the best vision solution available. As always, we stand behind our service and products. Our goal is to take care of our patients. Call or come visit us any time! We will be happy to assist you and answer any questions you may have.